I stood behind a table filled with enough food for a feast. We had completed our service and work in Beckley, West Virginia and now we were hosting a community meal for the many families that we had worked with during the week. The room was full of exhausted middle-schoolers sitting next to the children they had been reading with all week in addition to the parents and relatives that were invited as well. The meal was free for all in attendance and there was a steady line for 45 minutes as we served and ate together. Offering food and drink without a cost is a remarkable gift that the church has to offer to our communities. In two weeks our church will be hosting a Community Cook-Out for the people in our neighborhood for free. 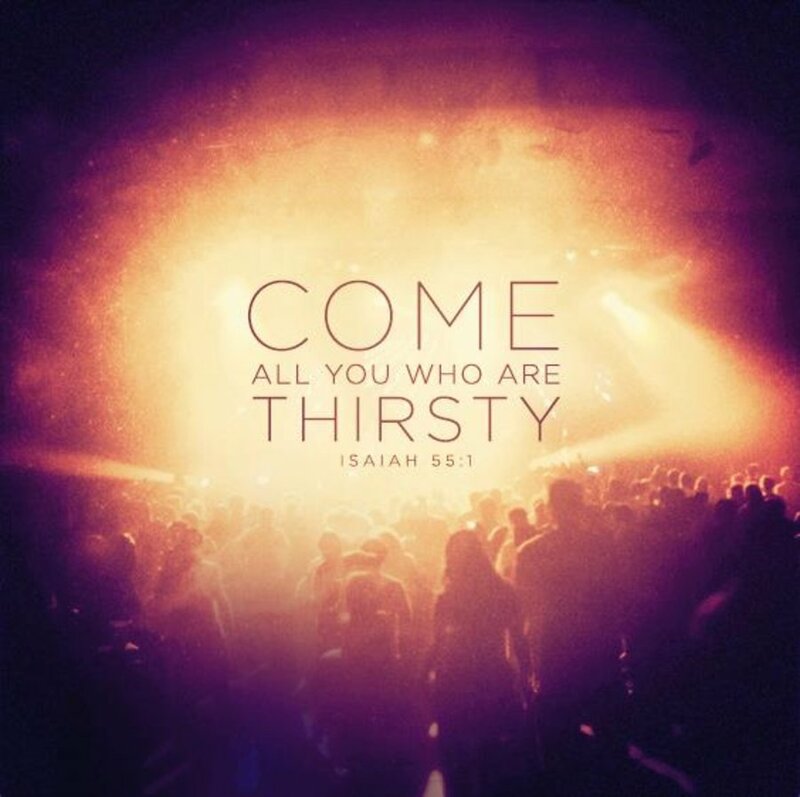 Like the prophet Isaiah we are inviting everyone who thirsts to come to drink from our waters, to eat what is good, and delight themselves in rich food. However, we recognize that (as Paul said) “food will not bring us close to God” (1 Corinthians 8.8). Without a willingness to build relationships with the people we serve and dine with, food will remain an ordinary element of life. When we served the food to the people in Beckley, West Virginia it would have remained a simple and nice gesture unless we were willing to sit side by side with our brothers and sisters and foster new relationships. Even with all the greatest and most delicious food it would have meant very little without our youth sitting down and laughing with their new friends. It is my hope and prayer that everyone in attendance that night will remember the joy of conversation rather than the food that we provided. Offering food and drink is a wonderful thing to do as Christians. Hosting a meal at our homes for neighbors and friends reflects the goodness and abundance that God has provided in our lives. Yet, if we are not willing to offer our friendship with our food than we have neglected to take the necessary step to live out God’s Word in the world. This week I challenge you to think about someone in your life who could benefit from receiving a free and delicious meal. Perhaps you have someone that you could take out to lunch, or invite over for dinner. But more than that I encourage you to think of how your willingness to love them and offer your sincere friendship will have a greater impact than any food or drink you could ever offer.